3 Square glass bottles of Lourdes holy water with silver rose caps. 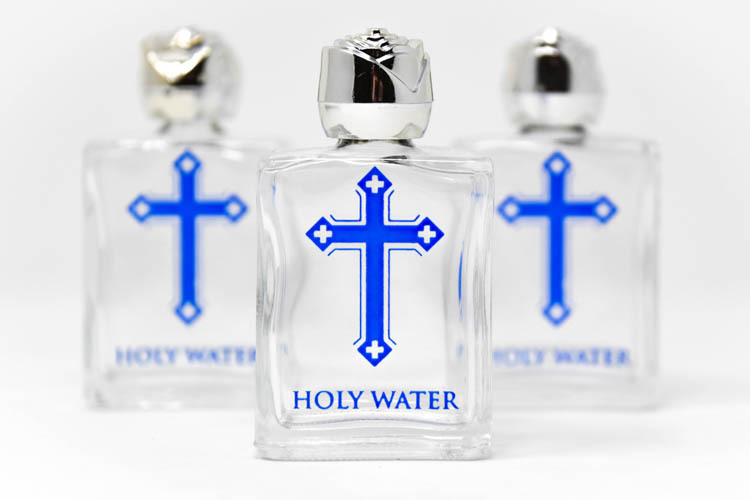 They have the words 'Holy Water' and a cross written on the front of the bottles in Blue. These bottles measure approximately 7 cm in height and contain 40ml of Lourdes water.